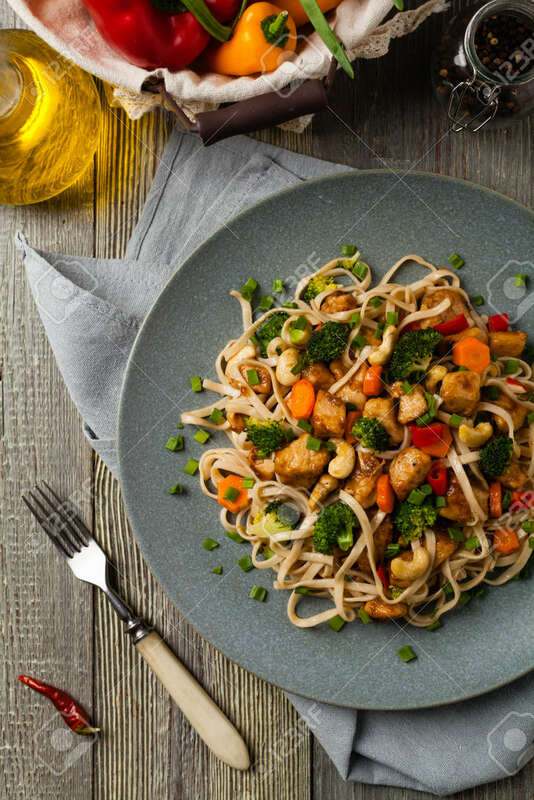 Stir-fry Pasta With Chicken, Broccoli And Carrots. Top View. Gray Wooden Background. Served On A Gray Plate. Fotos, Retratos, Imágenes Y Fotografía De Archivo Libres De Derecho. Image 118519469.